Bristol City Council has published a draft transport strategy that includes a mass transit scheme, as well as possible congestion and workplace parking charges. It said the strategy outlines how it plans to tackle ‘challenges such as congestion, growth in housing and jobs, inequality and health problems caused by inactivity and air pollution’. While the council highlighted proposals to improve public transport, including an underground or tram mass transit scheme and better bus and rail services, it presented workplace parking levies and road user charging/congestion charge mainly as potential sources of funding. 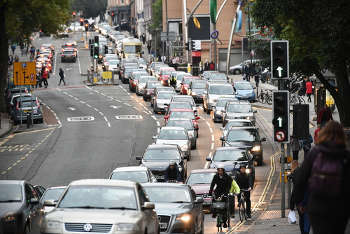 Bristol mayor Marvin Rees said: ‘We all know some of the big challenges holding Bristol back when it comes to transport, with congestion being the most significant due to the scale and complexity of the problem. However, the council’s Conservative Group leader, Mark Weston, told a local newspaper: ‘It is inaccurate and disingenuous to suggest that a congestion charge could be used to pay for the mayor’s underground scheme. At best it could make a small contribution towards the interest payments on the borrowing for such a massively expensive project. Efficient freight movement to consolidate goods into fewer vehicles.